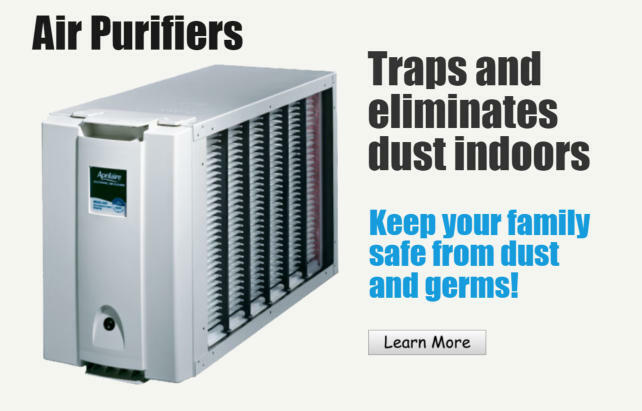 Our product line includes indoor air quality products to make your home cleaner and safer to breath. Our customers call us, because we are A/C Professionals that solve problems, show up on time, and provide you with honest solutions for your comfort needs. No pressure. No obligation to buy. Don’t worry, we walk you through the entire financing process! It's the middle of winter and our phone lines hum with calls from homeowners who have heating problems. Our knowledgeable technicians will diagnose precisely what's wrong with your furnace or heat pump and the first step in any diagnosis is to look for simple things first. Here are some of the most common problems we find when troubleshooting. 1. Dirty or clogged filters: The most important thing you can do to ensure adequate heat in cold weather is to change filters regularly. Dirty filters restrict air flow. 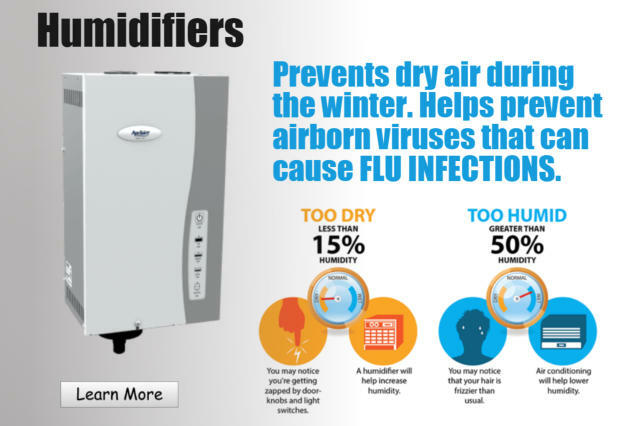 This means your furnace has to work harder to circulate warm air throughout your home. This puts an unnecessary strain on your furnace and may result in a breakdowns, excessive utility bills and diminished equipment life. Change filters at least every three months. Changing monthly is not excessive if you have a pet that sheds. Filters are cheap. You can buy a year's supply for less than the cost of a single service call 2. Ignition problems: Today's heating systems typically have one of two types of ignition systems: hot surface ignition or intermittent pilot. Hot surface ignition uses a heating element, kind of like a filament in a light bulb, which is controlled electronically to ignite the gas burner. This element wears out over time. The intermittent pilot is also controlled electronically but uses a high voltage electric spark to ignite the gas pilot and then the main burners. A pilot may burn out due to drafts or clogs in the heating equipment or problems with the thermocouple. 3. Other mechanical issues: Modern heating systems are complicated machines with a variety of electro-mechanical moving parts, including belts, bearings, fans and motors. Over time all of these components are subject to normal wear and tear. 4. Thermostat malfunctions: Your thermostat regulates when heat is to be produced and how much. So-called "smart" thermostats can be programmed to set different temperatures at different times, depending on whether residents are at home and their comfort preferences. 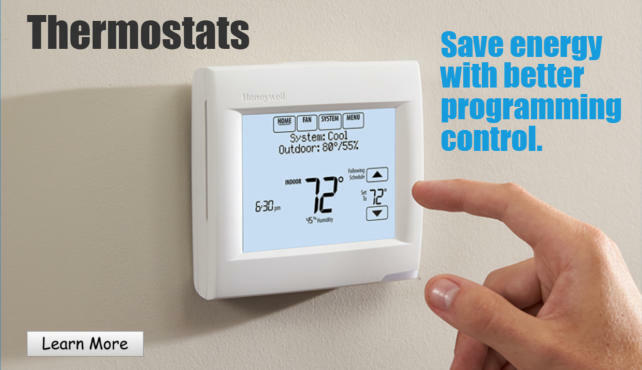 Whether you have an automated or manual thermostat, problems can develop that lead to no heat or inadequate heat. Many thermostats are powered by batteries, and one of the first things our troubleshooting technician will check is whether those batteries need replacing! Modern thermostats give a readout warning when batteries get low. It's surprising how many homeowners don't notice or don't heed the flashing reminders to change thermostat batteries. The best way to assure that your heating system functions during the coldest winter days is to have your unit serviced regularly - at least once a year. Give us a call to ask about our economical service plans that include full system inspections and maintenance. 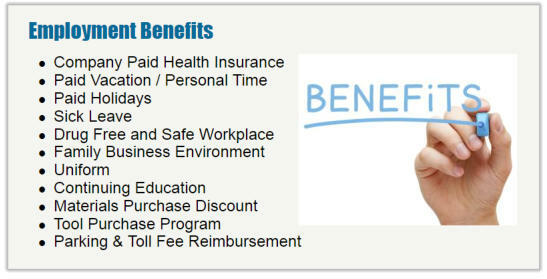 Call us now at 214-742-7252 to set up your appointment! HVAC Technicians & Installers Looking for a licensed HVAC technician and/or installers specializing in systems that regulate temperature and humidity in buildings. HVAC tech is responsible for installing, repairing, and maintaining heating, air conditioning and ventilation equipment. The technician also needs to know how to troubleshoot problems that might arise with these systems. HVAC technician should have a good grasp of mechanics in order to understand the components involved with the job, such as pipes, ducts, schematics, compressors and wires. HVAC techs must be qualified to compare a structure's existing systems to the building's needs and legal codes to suggest modifications or upgrades. _______________________________________________________________________________ HVAC Salesperson Salesperson must be experienced with HVAC equipment and HVAC installation processes. We are looking for a well seasoned salesperson to help increase our sales, as well as, strengthen and improve our sales department as a whole. Please list all qualified experience in the field in your resume. HVAC Technicians & Installers Looking for a licensed HVAC technician and/or installers specializing in systems that regulate temperature and humidity in buildings. HVAC tech is responsible for installing, repairing, and maintaining heating, air conditioning and ventilation equipment. The technician also needs to know how to troubleshoot problems that might arise with these systems. HVAC technician should have a good grasp of mechanics in order to understand the components involved with the job, such as pipes, ducts, schematics, compressors and wires. HVAC techs must be qualified to compare a structure's existing systems to the building's needs and legal codes to suggest modifications or upgrades. _______________________________________ HVAC Salesperson Salesperson must be experienced with HVAC equipment and HVAC installation processes. We are looking for a well seasoned salesperson to help increase our sales, as well as, strengthen and improve our sales department as a whole. Please list all qualified experience in the field in your resume. Sala Air Conditioning started its roots in the heart of Oak Cliff for more than three generations, starting back in the 1920’s. Sala Heater & Mantel Co. was established back in 1921, by brothers Ambrose G. Sala & Theodore A. Sala. Ambrose G Sala was born in Calvary, Texas in 1880, and moved to Dallas, Texas with his family in 1888. He worked as a sheet metal worker in a sheet metal shop drawing pattern layouts for sheet metal fabrication. He also worked in a foundary pouring iron oranments and iron pieces and fabricating them. In 1921, Ambrose G. Sala and his brother Theodore A. Sala started their own company at 4015 Main Street in Dallas called, “The Sala Products Company”. There they manufacturing gas- powered storage tank water heaters, fireplace mantels, space heaters, and gas logs. Then in 1927, Sala Manufacturing Corporation had opened up a distribution center at 2243 N. Main Street in Fort Worth, Texas to distribute their heating products. Sala Air Conditioning is a family owned and operated business servicing the Dallas & Ft Worth area. The company was founded by Ronald G. Sala, running the business out of his garage in Oak Cliff back in 1972. In 1973, a year after the business began, Ronald G. Sala moved his business into a commercial building E. Clarendon Drive hiring on two more technicians. In 1983, Ronald moved the operations to 233 Sunset Avenue in Dallas, Texas, a better location centrally located in Oak Cliff. With the company continuously grown Ronald moved the company to a bigger building on 1212 W. Commerce Street. In 2003, the company was sold to Ronald G. Sala’s wife Margaret Ann Sala and two son’s Jason Sala and Jon Sala, and was formed into a corporation. In 2005, the company acquired M&R Air Corporation from Donald Montgomery and moved to 4530 Mint Way, Dallas, Texas where the company still operates to this day. Sala Air Conditioning started its roots in the heart of Oak Cliff for more than three generations, starting back in the 1920’s. Sala Heater & Mantel Co. was established back in 1921, by brothers Ambrose G. Sala & Theodore A. Sala. Ambrose G Sala was born in Calvary, Texas in 1880, and moved to Dallas, Texas with his family in 1888. He worked as a sheet metal worker in a sheet metal shop drawing pattern layouts for sheet metal fabrication. He also worked in a foundary pouring iron oranments and iron pieces and fabricating them. In 1921, Ambrose G. Sala and his brother Theodore A. Sala started their own company at 4015 Main Street in Dallas called, “The Sala Products Company”. There they manufacturing gas-powered storage tank water heaters, fireplace mantels, space heaters, and gas logs. Then in 1927, Sala Manufacturing Corporation had opened up a distribution center at 2243 N. Main Street in Fort Worth, Texas to distribute their heating products. Sala Air Conditioning is a family owned and operated business servicing the Dallas & Ft Worth area. The company was founded by Ronald G. Sala, running the business out of his garage in Oak Cliff back in 1972. In 1973, a year after the business began, Ronald G. Sala moved his business into a commercial building E. Clarendon Drive hiring on two more technicians. In 1983, Ronald moved the operations to 233 Sunset Avenue in Dallas, Texas, a better location centrally located in Oak Cliff. With the company continuously grown Ronald moved the company to a bigger building on 1212 W. Commerce Street. In 2003, the company was sold to Ronald G. Sala’s wife Margaret Ann Sala and two son’s Jason Sala and Jon Sala, and was formed into a corporation. In 2005, the company acquired M&R Air Corporation from Donald Montgomery and moved to 4530 Mint Way, Dallas, Texas where the company still operates to this day.